Beautiful bright purple in colour and with a really attractive nose of oak and seamlessly integrated fruit, this wine has a lovely middle ground of dark fruit. A superb village wine. This has been one of the most exciting cellars in the whole of Burgundy for the last few vintages, a fact which is beginning to be reflected in the pricing. The significant reduction in crop this year, which Etienne Grivot ascribes more to the extreme winter cold than poor flowering, is also a factor. Etienne has been working hard to refine the tannins in his wines, and has surely succeeded in 2010, by producing wines of great energy but with suave, sophisticated finishes. These are brilliant wines that unfortunately, are in short supply. 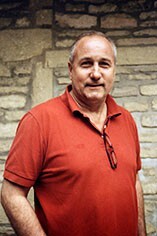 Etienne Grivot and his wife Marielle (Patrick Bize's sister) took over from his father in 1990, making him the fifth generation of Grivots to make wine in Vosne-Romanée. In the 1930s it was one of the first domaines to bottle and sell the wines themselves. The Grivots go back a long way in Burgundy. Indeed two previous generations of Grivots have married girls of the same surname. Jean Grivot, whose name continues to appear on the labels, took over from his father in 1955 and handed on to his son Etienne in the early 1980s. Etienne, married to Marielle Bize from Savigny, has been through a number of incarnations as winemaker here. When he took over, his father’s style was for gentle, graceful wines which perhaps were a little weak in the lesser vintages. In 1994, a difficult year but a breakthrough vintage at the domaine, Etienne began to find his own voice and made a range of very fine wines given how poor the weather was. Since then he has not looked back and a drive to reduce yields and fine-tune his work in the vineyards and cellar since the mid-2000s continues to drive quality upwards. Recently big strides have been made on the viticultural front. Etienne has bought a Chenillard caterpillar tractor to work some of the more inaccessible vines and has hired a horse, Pirate, to plough his Richebourg, Échezeaux, Beaumonts, Brûlées, Suchots, Boudots and some village Vosne vineyards. He is not a fan of training the vines too high or of leaf-plucking on the south side, as he prefers a long, slow ripening period. The grapes are 100 percent de-stemmed, though with some experiments where stalks are retained, and the fermentation allowed to start naturally, with a little punching down before this starts. Thereafter there is no more pigeage: “I don’t like to mix the physical [punching down] with the spiritual [fermentation],” says Etienne. Thereafter there is one pump-over per day, before the wines go to barrel once fermentation has finished. Four tonneliers are used so as to avoid the signature of any one. Etienne prefers the wood from the Allier, Tronçais and Bertranges forests, and now buys some of his own wood. There is an average age of 45- to 50-year-old vines across this 15-hectare domaine which covers 22 appellations (18 red) with holdings in Vosne-Romanée, Nuits-St Georges, Clos de Vougeot, Échezeaux and Richebourg. Etienne produces a range of stunning wines which possess real depth and class. In answer to a question over the secret of his success, he confides, “There's no recipe; it's very personal. 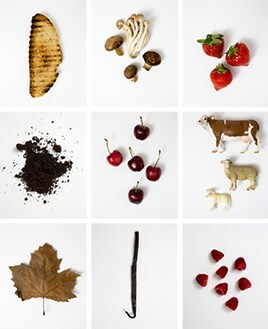 As a result, it's very frustrating as one's never content." The succession to the next generation is now well underway, with Mathilde and Hubert increasingly influential, under their father’s experienced and wise guidance. These are very personal and undeniably fine wines, with dramatically aromatic notes of red fruits, becoming denser up the range. Originally known as Nuits, or even Nuits-sous-Beaune, the town was happy to add the name of its finest vineyard, Les St Georges, in the 19th century. There are no Grands Crus, but many fine Premier Cru vineyards, the mayor of the time – Henri Gouges – preferring not to single out any vineyard for the highest status. 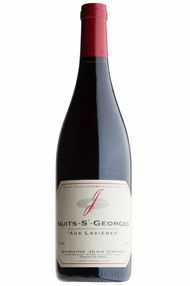 The wines of Nuits-St Georges vary according to their exact provenance. Those of the hamlet of Prémeaux, considered to be part of Nuits-St Georges for viticultural purposes, are often on the lighter side. The richest and most sought-after are those just south of Nuits-St Georges such as Les Vaucrains, Les Cailles and Les St Georges itself. The third sector, including Les Murgers, Les Damodes and Les Boudots are at the Vosne-Romanée end of the village, and demonstrate some of the extra finesse associated with Vosne. Several domaines (Gouges, Rion, Arlot) now produce a white Nuits-St Georges from Pinot Blanc or Chardonnay.